Shilpi Jain is a Cosmetic Formulations Scientist with an educational background in chemistry, a work history in drug research and a rich family immersion in Ayurveda. 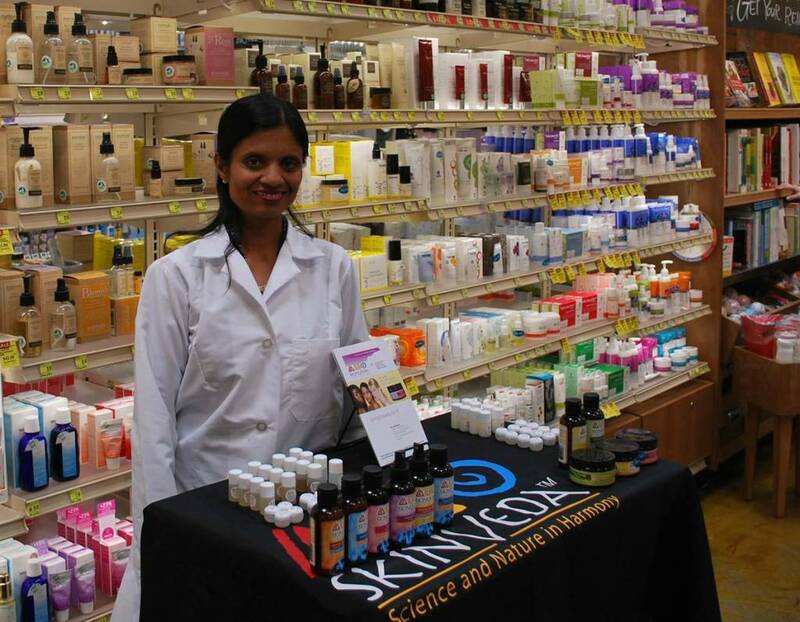 The sum total of her experience culminates in SkinVeda, a natural skincare line produced in Plano, TX. SkinVeda blends Ayurvedic herbs with modern skincare, uses sustainable resources and is made without parabens. 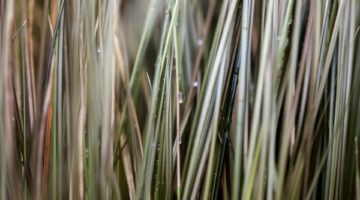 We asked Shilpi what ingredients were real powerhouses for skincare. Here’s what she currently loves. Tulsi is a very intriguing, medicinal herb. It’s gentle, yet has so many chemicals that make it so amazing. Tulsi has natural salicylic acids. Salicylic acids are present in aspirin and used in acne products and are known for their pain relieving properties. Tulsi is a Cox-2 inhibitor and helps regulate stress cycles. It helps with acne for adults and children and when taken internally is beneficial for stress, among other things. Tulsi contains no side-effects. Over-the-counter acne products with ingredients like benzoil peroxide (doctor recommended for controlling acne) do. SkinVeda’s Tulsi Pore Refiner helps minimize pores, clarifies the complexion and reduces congestion. It’s perfect for acne-prone skin. Chlorella vulgaris is a single-celled algae that has the ability to make it’s own food even without the presence of sunlight. It can survive harsh climates and is found in the high temperature geysers of Yellowstone National Park. On a cellular level chlorella vulgaris activates fat cycles and helps accelerate the mitochondrial ATP cycle. It increases metabolism and helps flush out the fat by activating the production of ATP inside our bodies. It’s perfect for sluggish metabolism or cellulite or post-pregnancy. 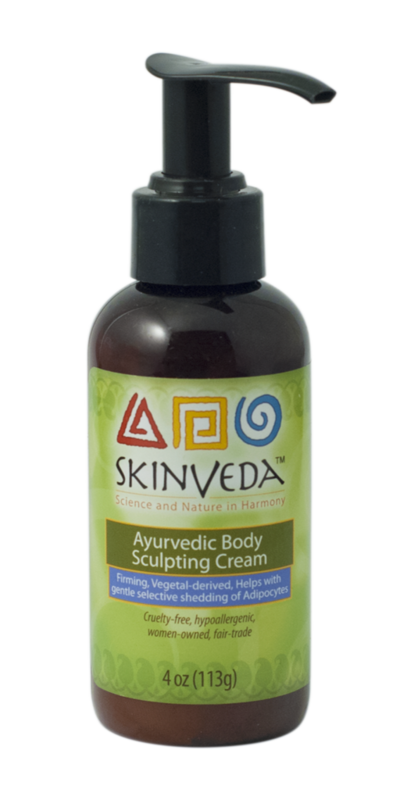 SkinVeda’s Ayurvedic Body Sculpting Cream is your go-to for fat-busting chlorella. It was recently featured in Organic Spa Magazine. BeauteReport.com included it in their list of top 5 cellulite reducing creams. What’s also amazing about chlorella vulgaris is it’s also really powerful internally. It has a high level of protein so it has a sustaining power after taken internally. In Africa and third world countries they’re trying to find foods that will sustain feelings of fullness after eating. Chlorella vulgaris is on their radar. Shilpi shared with us her best selling products, which we’re super eager to try. You can purchase SkinVeda products at select Whole Foods in Texas. If you want them at your local market, make a request for it! You can also find them at SkinVeda.com. Interested in being a sales rep for SkinVeda? Contact Shilpi for more information. Questions? Leave your comments, questions and experience below. We’d love to hear from you!